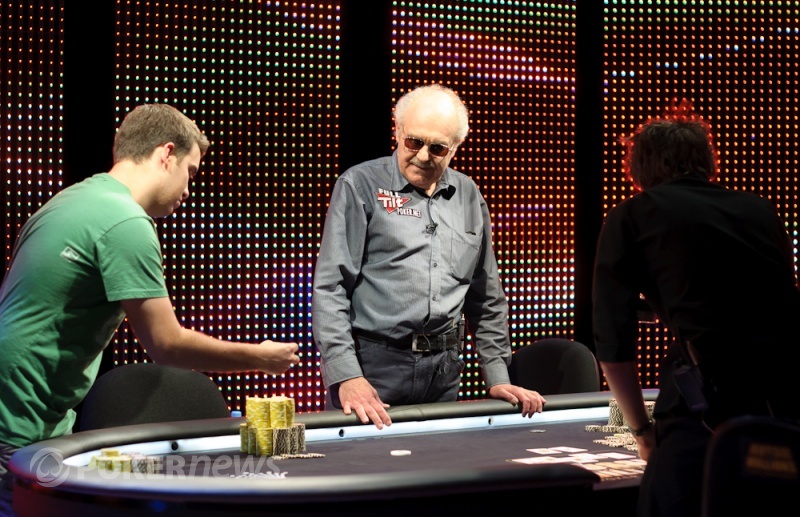 Jeff Rossiter cuts to the chase, both at the poker table and when giving interviews. The young man from Adelaide in Australia has almost $5.5 million in live tournament earnings but he’s the first to admit that its not all that glitters is gold. Rossiter is a realist, someone who doesn’t shy away from speaking his mind and above all else a brilliant mind in the game of poker. Rossiter granted iGaming.org some of his time and we got him talking about his rise to poker fame, the value in Super High Roller tournaments, selling action, the real winnings in big events and how his huge 2013 was not quite as good as we all like to think. On top of all this, Rossiter gives his insights on how there’s quite some hypocrisy going on in the ongoing advocacy for the return of online poker. The first time we heard the name of this star from Down Under was during the 2011 Aussie Millions, as Rossiter managed to make a very deep run in the Main Event. The tournament, which drew a crowd of 721, had the likes of Patrik Antonius, Sorel Mizzi and Chris Moorman make very deep runs but the then unknown rookie outlasted them. Going into three-handed play Rossiter held the chip lead, but unfortunately for him he was knocked out in that spot about 60 hands later for A$700,000. Rossiter missed out on the A$2,000,000 first-place prize, which was ultimately won by David Gorr, and he explained to us what it was like playing at a televised final table with that much at stake for the first time, compared to when he finished 14th in the same event this year. “The first time I was a bit nervous because it was the first time, this year I was nervous because I realized how little these sorts of opportunities come around. You need to make the most of every opportunity you get, that’s definitely something you’ll learn when playing tournaments professionally,” Rossiter said, reflecting on his experiences at Crown in Melbourne. “First poker was just fun, then it turned into my side income and then after Aussie Millions in 2011 I realized that it could be something for at least a few more years,” Rossiter said, as that huge score changed his life. “By the time I made that deep run in the Aussie Millions Main Event I had been playing seriously for a bit over a year. I had been playing mostly $5/$5 and $5/$10 live cash games, so playing in that Main Event was huge, as I might’ve had $50,000 to my name. I played a few satellites before the Main, managed to get in and I had 100% of my own action in that tournament,” Rossiter confessed, while it’s usually in the current poker climate to at least swap or sell some action for big events. While Rossiter wasn’t an experienced live tournament player at the time he sure knew how to approach the situation, and interestingly enough he only felt the pressure during the tournament breaks. “At the table you just know what you need to do and the pay jumps sort of just happen. I think, and people commented on this afterwards saying that I was very composed, that the adrenaline rush was much higher on the breaks because you realize what you’re in the middle of. So for most of the play I was very relaxed and I don’t think it hurt either that it was at Crown in Melbourne where I’d been playing almost on a daily basis for quite some time. The situation Rossiter found himself in was quite exceptional as not all players at the final table were experienced professionals. Looking back the Aussie thinks he would’ve approached things a bit differently if he had a chance to play that final table again. “After the tournament was over it was nice to get some validation from my parents, even though I was playing cash games and doing well at those. Showing a big tournament result is still something that stands out more than cash game results,” Rossiter added. Young poker professionals from all over the world experience similar sentiments from their parents. Not knowing what their child’s future will be like in an environment filled with pitfalls and temptations can be stressful, but the transition for Rossiter’s parents went smooth and they were always supportive. “I was pretty open towards them during the time of my progression and I dropped out of Uni for none-poker reasons. I just wasn’t enjoying the course and struggling a bit too because of motivational problems. So I dropped out of Uni about five months before I started playing poker full time, so it was kind of a coincidence I was playing poker at the casino during that time. I had a part time job and after a while I didn’t need that job anymore because poker was going so well,” Rossiter said. “I think they [his parents] are very proud, and they enjoy following the coverage. I don’t think either one has seen me play in person, but my dad does watch the live streams whenever I’m on and he also reads a ton of the live updates,” Rossiter explained as he also made sure to add that Mike McDonald’s father is still the Number 1 poker fan, ahead of his dad. As we mentioned in the intro, Rossiter’s 2013 was spectacular with a second place finish in the GuangDong Asia Millions in Macau for $3.155 million, winning two EPT side events, finishing fifth in the London main event for $246,972 and making three High Roller final tables for a total of $251,000. It seems easy to count on these successes continuing and Rossiter looks to remain focused, as being successful is not a given. “I’ve certainly ran really, really well in live tournaments and I try to be conscious of that going forward. It’s really easy to have a losing year on the live circuit if you add all the expenses into it. You always have to be prepared for that and make sure you understand what you’re risking. I don’t know what’s going to happen in five years, but right now I think I’m in a really good situation. This year I’ll be traveling the circuit full time, and next year I’ll decide about that year,” Rossiter realistically stated about the life as a tournament professional. “I keep accurate live tournament and cash game records but not of my expenses. I try to be conscious about my expenses but I can definitely improve on those. I do share hotel rooms when I can but there are more things I could do to minimize my costs,” Rossiter added about things a tournament professional has to keep in mind in order to stay profitable. While most poker fans dream of holding up that big EPT, WPT or WSOP trophy, a professional has to be much more realistic. Rossiter, content with his lifestyle, admits that money will always come before fame. Being a tournament professional also makes for dealing with continuous big swings. Many cash-game players argue that their lifestyle is much less emotionally challenging, as the swings are a lot smaller. Rossiter however, disagrees. “I think it’s different for everyone. People who compare tournaments to cash games like that haven’t had much success in the former. That might make them biased towards that or maybe they are just running like a person should be, while I’m just running extremely hot. I’m just going to try to run extremely hot and keep doing that,” Rossiter said with a big smile. “I think there are different tiers with regards to the skill in tournament poker and I think I’m near the top tier. Out of 10 tiers I think I might be in the second one, with some of the Super High Roller guys in Tier 1. I’ve definitely spoken to some very smart people over my time as a tournament player, but I couldn’t with confidence say who specifically is better than me,” Rossiter said about the skill in poker tournaments. Rossiter himself plays the occasional Super High Roller event, events that have been criticized and applauded both at the same time. These events draw wealthy businessman who face off against poker professionals. On the other hand, people argue that it’s hurting the poker economy with possible millions at stake per individual in just 12 months. We asked for Rossiter’s personal approach to these events and he explained how he handles buying action and the percentage of his own action he’s willing to take. “Buying pieces of other players and the amount I have invested of my own buy in are separate decisions. When buying pieces I’ll take them if they are profitable investments, or profitable risk appropriate investments, I’ll make those,” Rossiter explained. “In the GDAM tournament for instance, I sold half of myself and swapped another 30%. I didn’t swap before the tournament with anyone who managed to cash, but going into the final table I swapped with someone who bought a piece of Pratyush [Buddiga],” Rossiter said. The bubble of the GDAM tournament last summer was one of the biggest in poker history, and it’s safe to say also one of the most nerve wrecking moments Rossiter will ever face. “The bubble of the GDAM tournament was without question the most stressful time in my career as a tournament player. You don’t get to play a $700,000 bubble every day, and on top of that it was very short-stacked play. Every hand for a few big blinds had such huge implications and you had to play fairly tight the whole way through,” Rossiter said. “So the big psychological point in that tournament was actually not the final table but the bubble, the night before. That night there was a lot of excitement, but the next day during the final table things went by so fast that there wasn’t really time to think about anything. I think the final table played out in about four and a half hours and so you don’t get time to think, ‘Oh I’m in a spot where I can win this’ and you don’t get to adjust to being excited about thinking you have a shot at winning what’s for first. You’re just excited about laddering another $500k,” Rossiter laughed realizing how bizarre that tournament actually was. Rossiter ended up cashing $3,155,887 for his second place finish behind Niklas Heinecker. Because the Aussie pro only had 20% of his own action he banked $631,177 while his HendonMob page proudly shows a $3.1 million score. The numbers displayed after big international tournaments are deceiving, and Rossiter gives us his views on these skewed numbers. “It’s a fine metric of some sort of result but it would be much better if there was more knowledge to what it actually represents. I’m happy to be very open about my results and what they stand for; I don’t care what people know about that in regards to me. On the other hand I don’t think a PTR-type listings of tournament results would be good for poker. I think we should celebrate the wins but don’t pay too much attention to potential losses. As long as people understand what those numbers on HendonMob mean, I think it’s fine to leave them the way they are,” Rossiter said. Rossiter sits second on the Australian all-time money list behind Joe Hachem after his successful 2013, but despite having to pay investors and players he swapped with, he’s still proud of this position. As someone with lots of live tournament results and four total victories Rossiter added that it would be nice to notch up some more wins, even if that would mean giving up some money. So while we considered Rossiter one of the biggest winners of 2013, he overturns those thoughts by explaining the share he had in his biggest cash. Because of this, his year wasn’t nearly as good as the general public likes to believe. “I wouldn’t even call last year ‘exceptional’ in terms of my finances. Overall it was a moderately profitable year because my tournament results aren’t indicative of my overall results. People who look at my results and think, ‘Wow, this guy had one of the best years in poker’ are wrong, it’s not a correct representation of what happened. It certainly wasn’t an awful year, don’t get me wrong, but it’s just that I sold heaps of my biggest tournament score and that makes all the difference. I won about $650,000 in live tournaments last year overall, but I lost between $300,000 and $350,000 in live cash games. I also don’t know my staking results exactly but I do know there was only one positive one,” Rossiter said. We can imagine that it’s hard to deal with these sorts of things, but Rossiter waves it off like it’s part of every day life. And to him it is. “It’s fine, I consider these things normal. I dealt with it, but it’s not like I have to ‘look back’ now on 2013 and move on from it. Years are just a measurement of time and I dealt with my results as they went. It’s was kind of odd playing during the Aussie Millions this year, as people were congratulating me with my awesome year. That feels strange, but I ignore it for the most part,” Rossiter said. The ‘false’ congratulatory messages could’ve been an extra motivator to do well in 2014, but Rossiter wouldn’t be the consummate professional he is if all of this was wasted on him. “Hearing those things is not going to make a difference for 2014, it’s not like I wasn’t going to do everything I can to get all the money anyway. It’s not to say that I do everything just for making the most possible money because in that case I would just be playing live cash games every day. I just enjoy live tournaments and traveling a lot more, so that’s what I’m going to be doing this year. The focus this year will be on money earned and fun had,” Rossiter calmly explained. Despite the realistic approach, losing $350,000 playing live cash games still isn’t fun. Rossiter, a frequent visitor and former resident of Macau, explains how a stroke of bad luck put him in a deep hole with regards to live cash games last year. “Losing big in the cash games was mostly a result of playing two very different stakes and winning at the wrong one. I played the $300/$600, which runs every day, and the $1k/$2k HKD game that runs sometimes. So there’s a big difference 3.5x difference between these two stakes, and you can grind the $300/$600 game all week and feel comfortable with the variance and do well, but in a bad session at $1k/$2k it’s easy to lose a million Hong Kong dollars." "The day after losing that much it’s really hard to jump back into the $300/$600 game. I think a lot of people are better at dealing with that sort of stuff than I am. I would routinely take days off after a bad session at $1k/$2k. For me it’s a thing where if I don’t wake up excited to play, I should not go out and play. It’s not like I would play a lot worse when I don’t feel like it, it’s just that previous experiences have taught me that it’s important that I want to play when I do. Right now I’m not based in Macau anymore but when I visit I’ll play some more cash games probably,” Rossiter said. The level of play in Macau is also something that has been discussed on many forums and social media platforms, but Rossiter thinks it’s nothing out of the ordinary. Being able to handle such big swings, traveling the international circuit and scoring huge final tables left and right have made Rossiter into one of the most successful poker professionals from Australia. While FullTilt Poker recently added the likes of Jonathan Karamalikis, Tom Grigg and Liam O’Rourke to their roster, we have not seen Rossiter being patched up. Would PokerStars perhaps be a good alternative for him? “From my understanding there’s no spot in that team, but they can always call me if they want to. Back in 2011 when I finished third in APPT Macau, after final tabling the Aussie Millions Main Event the same year, I thought I might’ve missed out on a spot on the PokerStars team, but right now I don’t think there are many new sponsorship options out there,” Rossiter said. PokerStars used to have a big team of pros facing the Australia/Pacific region, but nowadays their team is a lot smaller. Joe Hachem, Tony Hachem, Grant Levy and Lee Nelson are all no longer on the team and it’s a telling sign of the state of poker in Australia. “Poker finds itself in a grey area, nobody really knows what’s going to happen. It’s not clear in what direction it’s going to go, and our current government has previously said that they are anti online gaming. That’s of course an easy thing to say to get general appeal,” Rossiter said without looking to go into it too much as there’s not a lot of different information available on what’s likely to happen. One thing he does go into is the discussion about the ambassadors of poker, something that was sparked during this year’s Aussie Millions by the aforementioned Joe Hachem. “I also don’t think that ‘good for the poker economy’ is necessarily good for the world. I don’t understand people that tweet charitable stuff and then tweet about making poker bigger. Unless you think that gambling for thousands of dollars has a positive impact on people’s lives, I don’t see how attracting more people to poker is a net positive for the world. “I think it’s relatively clear that vast majority of people are going to be losing players. That’s just a function of how the game works, and that’s unlikely to be a positive for their household. I think it’s likely that online poker coming back in the United States will have a very positive effect on a small group of people and a very negative effect on a large group of people. I don’t have access to large amounts of statistics, but you could easily argue that case. The people in the poker circle basically ignore all of this because it’s in their best interest." "I’m not saying that I feel bad about it, but it’s just that I don’t really care that much what happens either way. I don’t understand people being very righteous about it, as if we’re doing well to the world by expanding the poker economy. It’s also true that I wouldn’t have been where I am now if it wasn’t for people like Joe Hachem and Tony G bringing poker to my attention in Australia. The points that I’ve just brought up aren’t necessarily things I’m a strong advocate of, but I do think that people ignore them. It’s important to look at things from multiple sides, but I also want to make sure to point out that I’m not anti-gambling because that would be absurdly hypocritical,” Rossiter said. In poker, it’s all about winning from players that are worse than you are. Therefor it happens that you make money off those that also cannot afford to lose the amounts they do. Rossiter recalls one case in which he felt sorry for beating his opponent out of some money he probably should’ve kept in his bank account. “I was playing cash games at Crown and someone blatantly lied when a friend came over to ask how they were doing. That was kind of an unfortunate, but it’s not like I had an impact on their bad life choices. It was a $5/$5 game and the guy in question was stuck about $1,500 and when his friend came over he said that he was “about even”. The guy still had about $500 in front of him, but it’s likely that he came to the casino with $2,000, while he shouldn’t have even taken that much out. Whenever these types of situations, of feeling bad that other people lose, are brought up outside of poker, I always use the argument that if they wouldn’t lose it against me, they would lose it to someone else,” Rossiter said. For the rest of 2014 and far beyond that, we can see a merciless Rossiter try to win money from whoever challenges him at the poker table. “I’m basically playing all the EPTs and definitely WSOP APAC in Melbourne this year. There are some friends that try to convince me to go to Las Vegas for the entire WSOP but I think that’s unlikely. I’ll probably go around the Big One for One Drop, not to play but during that time, and for the Main Event. It’s impossible for an Australian to play in the One Drop, because the situation in Australia is the same as in Canada where there’s a 30% tax withholding. The chances would be quite big that I would go for the full six weeks to do some mix of playing tourneys, cash games and partying. I don’t really party that much though, only when I win something big and the chances of that happening in Vegas aren’t too big for now!” Rossiter closed out with. Make sure to follow Jeff on Twitter and Instagram to keep up to date with the latest in the life of this globetrotting poker professional. 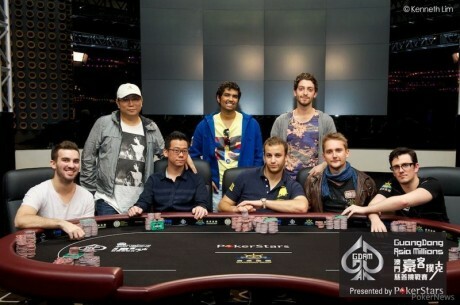 Photo credit: PokerNews.com and PokerStarsBlog.com.